The Labor Department’s inflation reading (see No Surprise below) and declining oil prices lessened concerns that the Federal Reserve would need to increase interest rates to hold down rising prices. With the exception of volatile energy and food costs, consumer price increases appear to be under control, according to some economists. That may indicate the Federal Reserve will leave rates unchanged at its meeting next week and perhaps longer. The Dow gained 0.83 percent to end the week at 12,307.35. The S&P remained relatively flat, down just 0.01 percent to close the week at 1,360.03. The NASDAQ lost 0.81 percent to finish the week at 2,454.50. No Surprise – Overall inflation during May rose slightly higher than economists had expected, while core prices – those excluding volatile gas and food – came in as anticipated. Overall inflation rose 0.6 percent, compared to the 0.5 percent analysts anticipated. So far for 2008, consumer prices are rising at an annualized 4 percent, compared with a 4.1 percent increase for all of 2007. 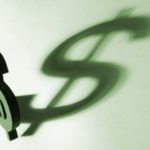 Good Spending – U.S. retailers reported sales totals a full percentage point higher in May than in April, as the economy felt the effect of economic stimulus check spending. Sales rose 1.2 percent, excluding autos, nearly twice what economists expected prior to the Commerce Department report on Thursday. It was the biggest increase in six months. Excluding higher prices paid for gasoline, sales rose by 0.8 percent, the largest increase in 12 months. Record Longevity – Life expectancy for Americans has surpassed 78 years for the first time, according to data from the World Health Organization. U.S. life expectancy typically increases by two to three months each year, but recently completed analysis of 2006 data indicates a four-month increase over 2005. The U.S. still lags 30 other countries in life span. Japan has the longest life expectancy at 83 years for children born in 2006. Switzerland and Australia also ranked highly. I Want It Now – A person born in 1946 is eligible for full Social Security retirement benefits at age 66 or in 2012. If that individual elected to take his/her benefits early at age 62 (i.e., in the year 2008), the monthly checks will be permanently reduced by 25 percent vs. what he/she would otherwise receive at his/her full retirement age (Source: Social Security Administration, BTN Research). Father’s Day may have left you reminiscing about lessons you learned from your own father, like throwing a ball, baiting a hook or changing a tire. What lessons did your father teach you about money? And more importantly, what lessons are you imparting to your own children and grandchildren about personal finances? A Visa survey released in August 2007 found that 48 percent of adults reported learning their money management skills from their parents, while 41 percent said their skills were self-taught. Elementary and high school, along with college, were mentioned by less than 10 percent combined. The survey did not ask respondents to grade those skills, which brings up an interesting question: are we teaching our kids and grandkids good money habits or perpetuating our own poor habits? -The Institute for Consumer Financial Education (ICFE) at http://www.financial-education-icfe.org; click on the Children and Money link. While you may have done (or plan to do) your best to teach your children and grandchildren about personal finances, confirmation from an outside source may help reinforce your message. We can be the neutral ground for helping educate your children, particularly those preparing for college. We can also tailor that information and instruction to your family based on our relationship with you and knowledge of your personal financial philosophies and situation. Call our office any time for help talking to your children or grandchildren about finances.